At MCHVF, the morning program is designed to meet the developmental needs of children between the ages of 3 and 6. 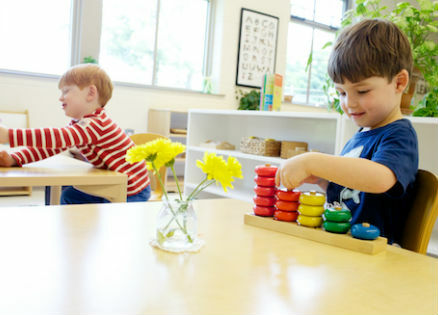 Each classroom is a beautiful, inviting, and thoughtfully arranged environment with hands-on materials created by Dr. Maria Montessori. Each material teaches a single concept or skill at a time and contain multiple levels of challenge and can be used at different developmental levels. Each classroom is composed of children ages 3 to 6. 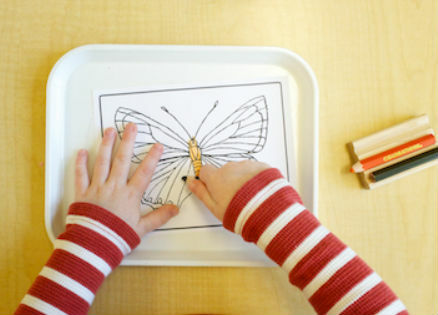 The multiage groupings are a hallmark of the Montessori Method: younger children learn from older children; older children reinforce their learning by teaching concepts they have already mastered. Our morning program is enriched with Music, Gym, Spanish, and monthly presentations by Valley Forge Park Rangers. The Morning Program runs from 8:45-11:45 a.m., five mornings a week.